Luka Doncic is a tall combo guard/wing with elite play-making skills. He comes with a ton of hype and seems to have the makings of a future NBA all star but it remains to be seen how he transitions to the NBA game. He's not a run/jump athlete and his foot speed is average but his feel for the game and his ability to make plays can't be denied. Doncic is likely to be a top 5 pick in June. Has great size for a guard at 6-8, with good strength and sneaky quickness. He's not known for his speed but he's got a quick first step and knows how to catch the defense napping. He's got a broad frame with good lower body strength. Has a smooth stroke from outside and has NBA range on his shot. Although he doesn't get great elevation on his jumper he has a high release point which, combined with his height allows him to shoot over defenders. He gets great rotation on his shot and shoots with accuracy. He can shoot off the dribble and knows how to find his shot. He's a deadly catch and shoot player. A very slick passer who has a lot of natural point guard instincts. Can set-up teammates off the dribble and also does a good job of keeping the ball moving and not over-dribbling the basketball. 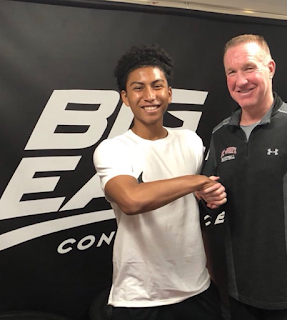 He's an excellent pick and roll player who has a great combination of shooting ability to keep the defense honest, size to see the floor and feel for finding the open man. His feel for spacing and doing subtle things to move the defense is special. Has excellent ball handling ability and an uncanny way of scoring in the lane, using ball fakes, floaters and quick release shots. 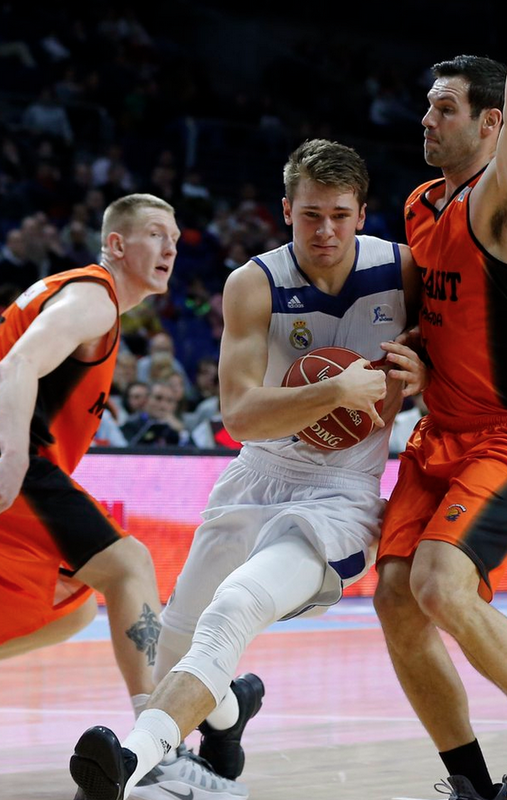 Doncic is a committed defender who gives good effort and plays with passion. He reads the passing lanes well and seems to have a good understanding of defensive positioning. He fights hard on the defensive boards. Doncic has below average athleticism and will have a big adjustment to make playing against NBA size and speed. There are a lot of questions about who he'll guard at the next level. He projects as an average defender at best, and possibly a liability on D.
Doncic doesn't have great foot speed and could struggle to get to the rim against NBA defenders, and his lack of jumping ability will make it hard to score in traffic. He's got a solid frame but one that is compact, heavy and lacks length. Can be a little bit sloppy with the ball and needs to tighten up his handles and make better decisions with the ball to avoid careless turnovers. Can be a streaky shooter, especially from downtown. A 6-8, sharp-shooting version of Ricky Rubio. Klay with more play-making abilities. An oversized version of Goran Dragic.